Since I know many of you have resolved to make 2015 a healthy one, I wanted to give you a little extra motivation. As a strong proponent of yoga, I wanted to show just how easy it is to start practicing. Below is an interview I conducted with the amazing woman who opened my eyes to healthy living, eating and exercising. 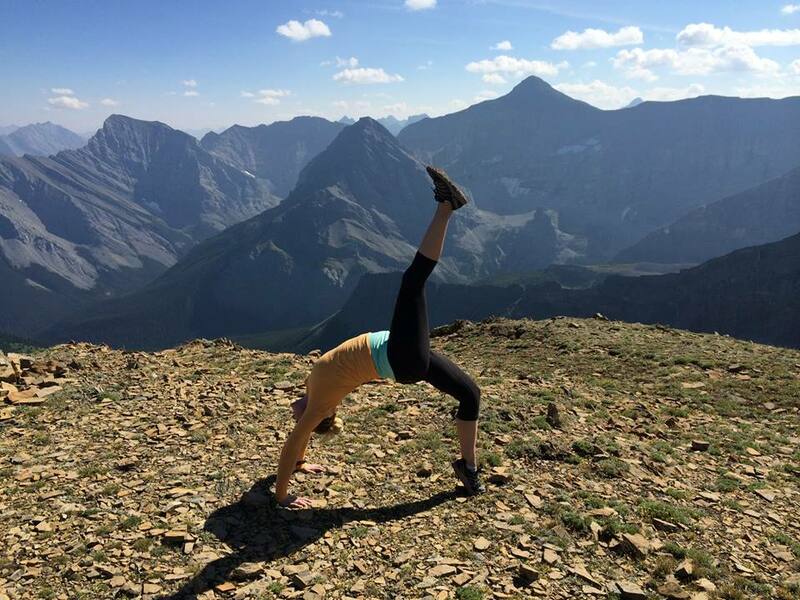 In our interview, Erin offers insight not only on the practice of yoga, but its benefits. You’d be surprised how many ailments yoga can cure, rather than turning to medication! So whether you are trying to beat SAD this winter or looking for ways to avoid injury, Erin can give you an answer (especially if you live in the Grand Rapids area)! If you have any further questions on the topic, please feel free to contact Erin with the email address she has kindly provided at the end of this post. Until then, be safe and stay healthy! What first interested you in yoga? My dad introduced me to yoga when I was young and I have been interested ever since. I really started becoming interested when I found that I needed to stretch and breathe and take things slow when I was stressed or in pain. Practicing lead me to the realization that it’s important to spend time with yourself while growing in a setting that gives you exactly what you need at the moment. For me that is understanding, and physically changing my body and mind while becoming more mindful of myself and my relationship with everything external to me. Do you believe yoga is life-changing? Has it changed your life? Yes. It has taught me how to be humble. Yogi’s practice, for years and years, is to become strong and flexible. This enables them to hold challenging poses. One of my favorite quotes is “the pose never ends” meaning each time you come to your mat and find an asana (pose) it is completely new because you have never been where you are until this point in time – the state of mind, where you are in life, or how you feel that day physically and mentally. It takes a lot to really see yourself as you are in the moment and accept that. Many of us are constantly trying to change and improve rather than to just be present. It’s important to step away from self-criticism and really dig deep inside and see the good in yourself by becoming more mindful of yourself and others in and outside of practice. What type of yoga is your favorite? Ashtanga yoga because it is beautiful and has a definite flow and rhythm – essentially it is a vinyasa style form of yoga with constant movement and specific breathing patterns and poses. It’s just a great style of yoga to observe as well. It is inspiring. What might be a good type for beginners? Many studios offer beginner yoga or gentle yoga, even slow flow classes help beginners get used to the pose names and get a feel for how the class flows. I teach a basic vinyasa style slow flow class when I have beginners in class. It’s very apparent to a teacher when you’re new (not in a bad way – we love it because you are a blank slate) and most teachers will slow things down so beginners are not lost. Some studios offer classes with levels of yoga as well so make sure you look at that. Could yoga be a family event? Parents practicing yoga with children, perhaps? What ages would you recommend for this? Yes. In fact my family practices together on occasion at the YMCA. My friend and fellow yoga teacher Stacy teaches a kids and parents yoga class at SEVA yoga in Gas Light Village every once in a while. I think the child should be old enough to be able to focus for an hour of class, so it really depends on the maturity level of the child – however with a yoga class there is a good amount of movement. If the child cannot focus in the classroom but does well when playing sports or playing with their friends then yoga may be a great place for them! What are the physical results of yoga? Yoga is great at increasing flexibility and strength, especially core strength. It also has the ability to lower blood pressure through breathing techniques. It is detoxifying – especially when practiced in the heat. What are the psychological results of yoga? It is seriously calming. You have to want to be relaxed and really commit to breathing and moving and just being in the moment. Being conscious of not thinking about all of the stressful stuff that is on the average person’s mind is another reason it’s great to practice in a classroom setting. The teacher typically makes a point of keeping the participants on track and breathing correctly. It’s really an all or nothing activity. If you commit to the practice it will enable you to observe yourself by taking a step back and removing the chatter from your thoughts. Because of this aspect of yoga, many practitioners gain respect of both their body and mind as well as empathy and mindfulness of those around them. Is yoga practiced best in the morning, at night or any hour of the day? Any time of day as long as you warm up properly (sun salutations during class or a hot room typically). Some people prefer not to eat an hour or so beforehand so it is really personal preference as far as time of day. What are some poses or breathing techniques you would suggest for a client suffering from SAD in the winter months? Hatha yoga really focuses on breathing and would be a good form of yoga to try if the goal is to be more conscious of breathing inside and outside of practice. Ujjayi breathing is a technique used in many forms of yoga that enables the practitioner to increase oxygen intake and waste output as well as increasing heat within the body. It gives vinyasa style practice its flow and rhythm and enables you to take that way of breathing with you outside of your practice into daily living. Why do you think yoga is suggested to individuals suffering from mood/emotional disorders (depression, anxiety, impulsivity/ADHD, bipolar disorder)? Because it is a physical release. Everyone needs something in their life that does that for them. Learning to control your breath is essential to helping control how your body physically responds to stressors. Breathing techniques can affect the blood vessels, heart rate, hormones and many other factors. Add to that the movement and stretching and you can release toxins and reduce aches and pains in your body which makes anyone feel a little happier. What are some tips you can offer beginners to avoid injury? If it feels awful, stop! Your body can only stretch so much before something gets overstretched, sprained or torn. The pain is your body’s way of telling you it’s not ready to go there. A little pain is fine; you are able to push your physical limits and get more flexible and strong only by going gradually. There are ligaments and other connective tissues in your body that aren’t going to stretch as quickly as muscle. It’s also about teaching your brain that it is okay and safe for your body to move into certain positions and stay there or stretch a little more. Learn to use your core from a good teacher! This will help you avoid injuries such as low back strains, wrist pain, shoulder pain and knee injuries. Really take to heart everything the instructor says about the minute changes you should make in your body to create the best possible form you can. Don’t look left and right and think because somebody else looks a certain way that you should too. Everybody is different and therefore everyone’s poses will look slightly different. Any final comments you would like to add? Anyone is welcome to contact me if they have questions about getting started: erin.golder@gmail.com or find me on Facebook. This entry was posted in Advice, Grand Rapids, Health, Life, Michigan and tagged Ashtanga, detox, Grand Rapids, Hatha Yoga, health, healthy living, hot yoga, Michigan, SEVA Yoga, stress control, Ujjayi, vinyasa, yoga. Bookmark the permalink.